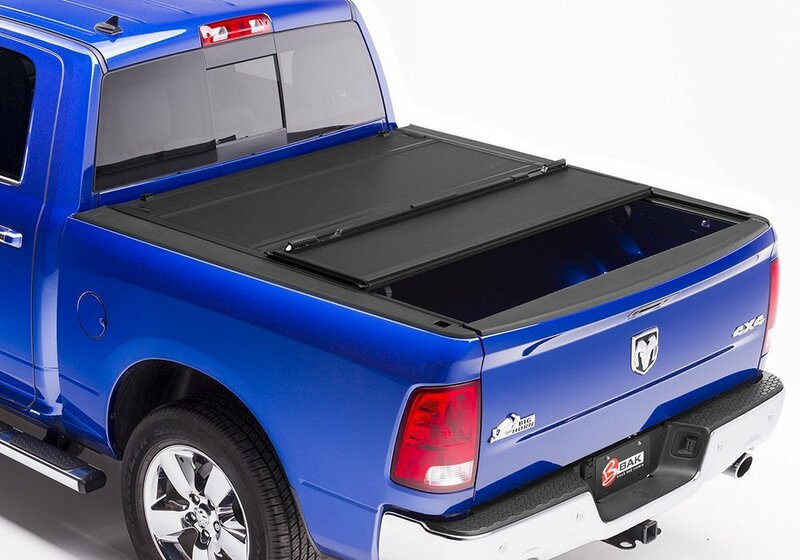 For Ram truck owners, one of the most popular aftermarket upgrades is a tonneau cover. Providing style and security, it’s no wonder you see them on almost every truck on the road. But, some tonneau covers are definitely better than others. 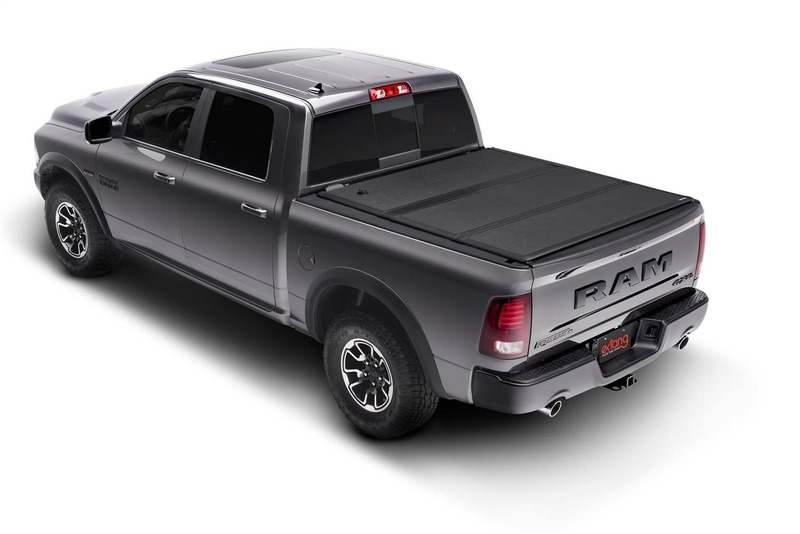 So which is the best tonneau cover for Ram 1500? Read on and find out. Gator FX3 Hard Folding Tonneau Truck Bed Cover Hard, Tri-fold Aluminum or fiberglass reinforced polymer panels. Water resistant. BAK Industries BAKFlip MX4 Hard Folding Truck Bed Cover Hard, Tri-fold Aluminum panels. Dual action seal. No-drill, clamp-on installation. Ultra low profile. Built in prop rods. TYGER® Tri-Fold Pickup Tonneau Cover Soft, Tri-fold Marine grade vinyl. Aluminum powder coated frame. Gator Tri-Fold Tonneau Truck Bed Cover Soft, Tri-fold Tool free installation. Tailgate seal. The Extang Encore hard folding tonneau cover truly has every feature and that you would want out of the best tonneau cover for Ram 1500 trucks in practically every aspect. This hard cover utilizes a 3 panel design that makes it easy to open and close for whatever suits your fancy. You’ll be able to lay all three folds out flat to cover your whole bed or leave the front or back panel up for easier access. It’s durable yet lightweight construction makes this tri-fold design convenient, too, since you won’t have to struggle much to get your tonneau cover into position. The hinges themselves are made to last and are water resistant for those wet conditions. Another strong feature that we love that is on this particular cover is a BOLT lock that can be set to match your existing ignition key. The cover itself is a great option for some security – but being able to lock things up tight is absolutely phenomenal. 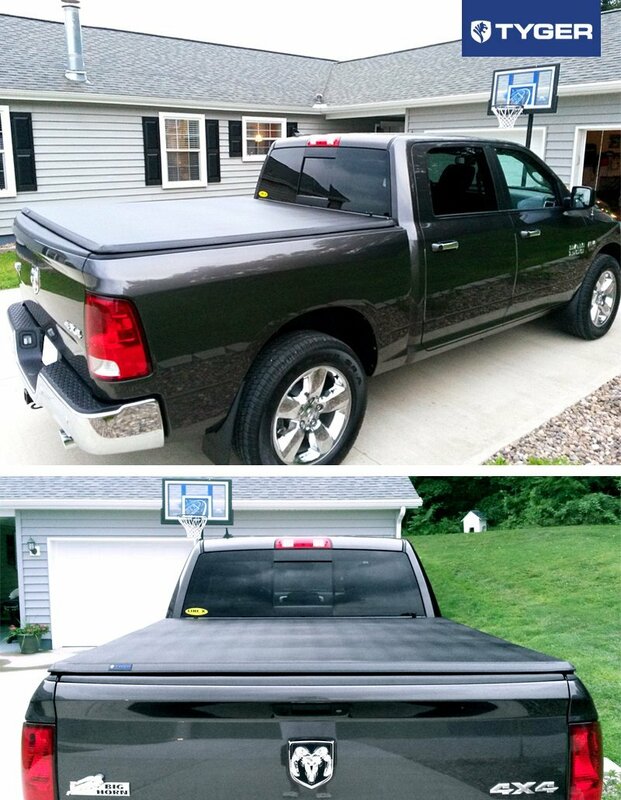 This is the best tonneau cover for Ram 1500 trucks that we know of and we think you will enjoy it, too. Between the durability, lightness, tri-fold design, and locking ability, we don’t see any downsides to this as your best option. 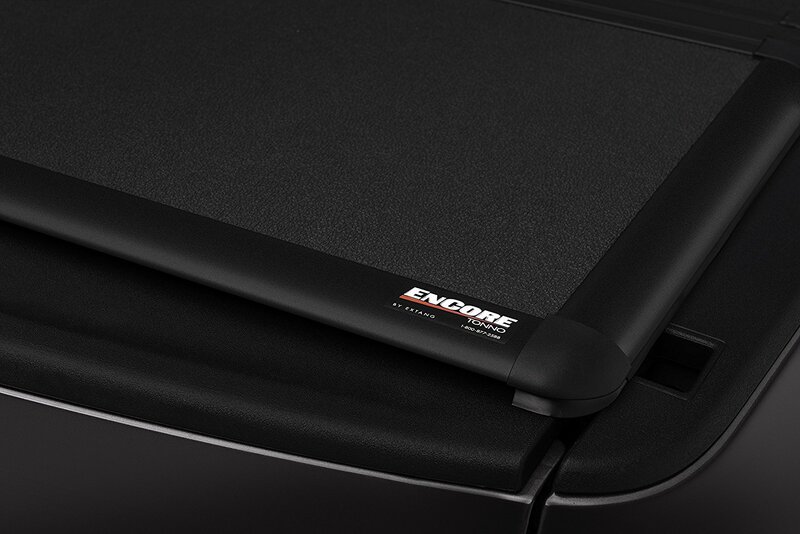 The panels of this tonneau cover are made of aluminum, everyone’s favorite strong yet lightweight metal. It’s also sealed with both a fiberglass reinforced polymer coating and EPDM seals for the absolute best in water resistance. You can place up to 300 pounds of stuff on top of this cover and not have to worry about it for a moment. 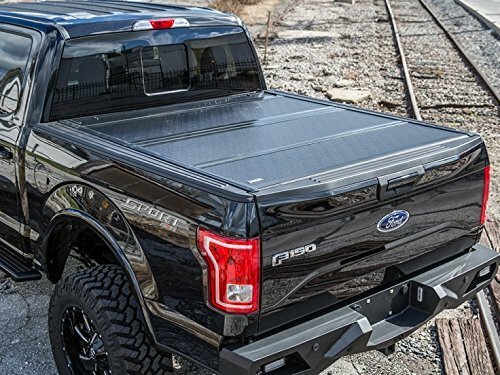 For these reasons, this tonneau cover is just straight up tough. But there is a lot more to this cover that we also love. Let’s first mention the easy to use slam latches that keep each section of the cover in place. This super secure system is really easy to undo, though, with just an easy pull of a cable when you want access. When you do decide to uncover your bed, you can secure it using buckle straps or the prop rods and head on down the highway. But here’s the kicker, folks: the Gator Guarantee. Love our Gator cover? Perfect, keep it. Don’t for some reason? They’ll take it back, no questions asked. That guarantees you a no-risk purchase when you go with Gator and that’s something you just can’t beat. The BAKFlip is another tonneau cover that is absolutely worthy of your attention. It’s professionally designed to be low profile and unobtrusive to everything else about your truck. It will leave your third brake light unblocked, won’t require any drilling (because of its Clamp-On installation), and looks slick covering up your truck’s bed. The cover itself is made of aluminum panels with a matte finish that give it excellent UV-resistance and great protection from scratches and scuffs. It uses a dual action seal to open and close with your tailgate in any position so it’s really, really easy to use. And you’ve going to love the full access to every part of your truck bed once you fold your tonneau cover all the way. If you find you love BAK’s products, this cover is fully compatible with a BAK premium storage box, and the BAK BOX 2. However, even if you still don’t want to be using the rest of these awesome products, you’ll still find that this is among the best tonneau cover for Ram 1500 options available. We love the Undercover hard cover for a lot of reasons but we’ll start you off with the #1 reason. It straight up looks outstanding. You could put this cover on any colored Ram 1500 and you would be happy with the results. Its low profile design and matte black finish are great for both function and style – both things that we think you are really going to appreciate. But there’s more to this cover than a nice look. The features that it sports are second to none. First, there are the built in prop rods that are great for securing the cover down when you don’t need it. You’ll also find plastic buckles and straps that are included with this package. The tri-folding design, which is common to tonneau covers, is exemplary of convenience and security in that it can be easily folded up or laid out flat with a few flicks of the wrist. We will say, though, that we are big fans of how this particular tonneau cover folds up so sleekly. 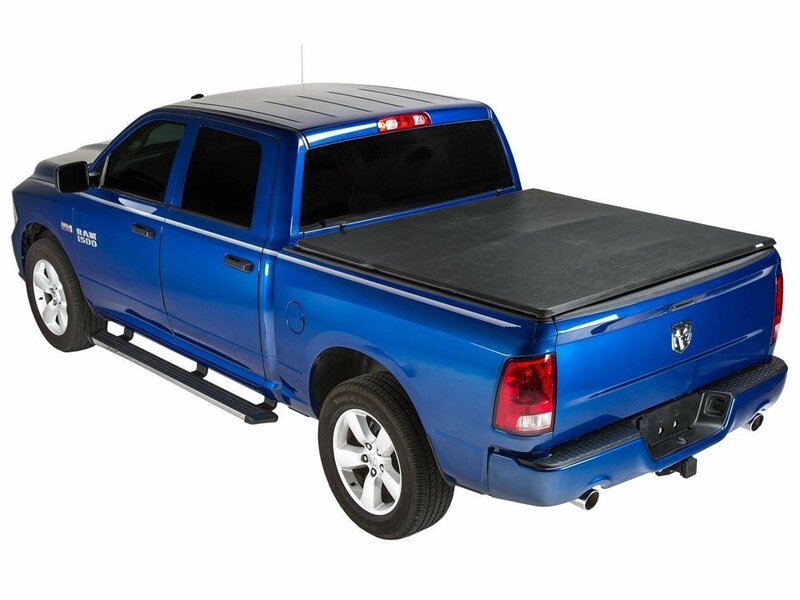 For a great fit, nice price, and all the basic features in the best tonneau cover for Ram 1500 choices out there, you’d be right to consider this Undercover product as among the best. Who likes buying stuff for life?! Hint: We do – and you should, too. With Tyger, you can get a really awesome limited lifetime warranty that is hard to come by with many other tonneau cover selections – or really anything! But this doesn’t mean that Tyger is skimping on quality… In fact, reality shows quite the opposite. This cover requires no drilling for installation and is made of 24 ounce marine grade vinyl. Its heavy duty aluminum panels are dual coated and come with steel clamps for some of the simplest installation you could imagine. Its horizontal crossbars come already assembled and easily fold up with the cover itself so you can get easy access to all of your truck bed. Altogether, you’re looking at a solid contender for the best tonneau cover for Ram 1500. Last on our list of the best tonneau cover for Ram 1500 selections is still one of the highest in quality out there. And, what’s more, Gator is coming back to make it into our top 6. We’ll reiterate something you already know and love about Gator: the lifetime limited warranty. That’s right: this tonneau cover is another “buy it for life” product. With that in mind, let’s see what it is about this cover that you’re going to love so much. First, this cover is unique because it is a soft cover. This makes it more lightweight than any other option you’ll find because it is only aluminum framing rather than sheets of aluminum. The rail that seals the cover against the bed so your stuff will be safe and dry. The included buckles will keep your cover locked down while you’re driving and you’ll love the tailgate seal, too. Altogether, this cover is a solid one that you’re going to appreciate for a long time. Like we said at the top, tonneau covers are amazing – but getting the right one for you is key. There are subtle differences with each model of tonneau cover so that they all have a flavor of their own. For this reason, we’re going to give you a buyer’s guide so you can make the right decision for you the first time. The benefits of having a tonneau cover are numerous. First and foremost, you’re going to get protection for any cargo you put in your bed. This is probably the most obvious and most often cited reason for owning a tonneau cover. There are also the added plusses of giving your car a sweet look and possibly improving your gas mileage (more on this argument in our FAQ). So, overall, you’re probably going to want your tonneau cover most for protecting and securing your cargo. There are a few things that you will want to look for in a tonneau cover, specifically. Something you will want to immediately make sure of is that your cover is lightweight. A lot of what is great about a tonneau cover is getting to move it around for your changing needs and situations. Therefore, you’ll want it to be light enough to move easily. Another big item to watch for is durability. You’re going to want to get a cover that will last once you fall in love and some cheap covers are going to get worn out before you are ready to say goodbye to them. So, be on the lookout for high marks in durability with your tonneau cover of choice. The biggest thing to avoid with tonneau covers is with waterproofing. If the tonneau cover you get isn’t waterproof, you’re going to end up with a soggy truck bed after the first rain post-install. It will get all humid underneath your cover and could potentially harm your cargo. 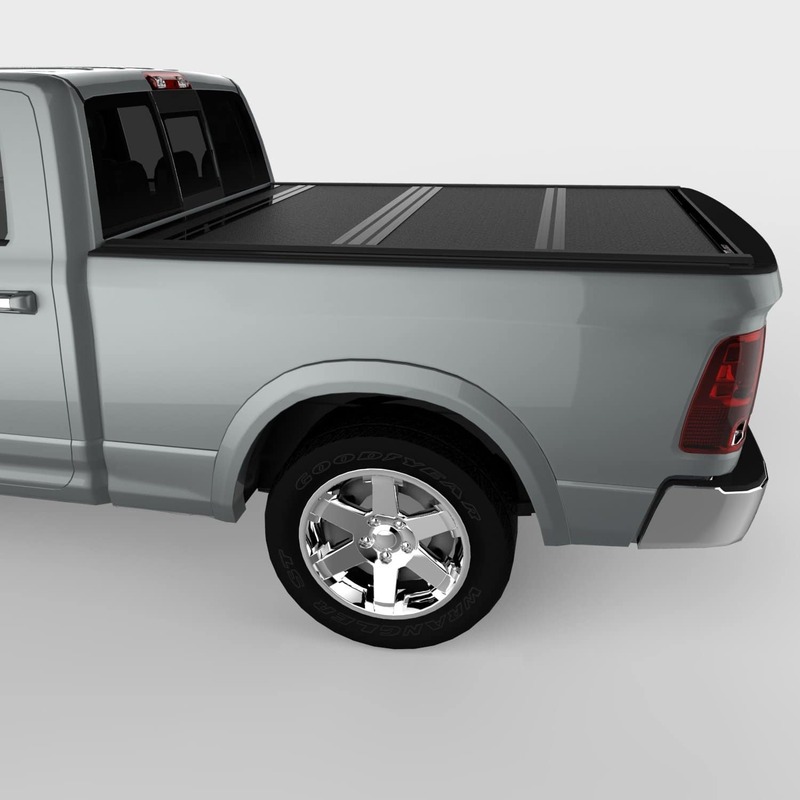 You’ll also want to make sure that your tonneau cover is going to be one that fits a Ram 1500. All of the covers on this list are specifically good for Ram 1500s so you’re avoiding this bit already. But it is always worthy to mention: Make sure that your truck bed cover is going to fit your truck bed before you buy. – Will a tonneau cover improve mileage? To be honest, folks, the jury seems to still be out on this one. The “serious science” studies seem to imply that there is no gas mileage advantage with a cover on a truck bed. However, people continue to tell stories about how their gas mileage improved after they installed their cover. So, really, this one is up to your own experimentation. – Can Tonneau covers go through a car wash? Definitely yes! If you ask your other truck-owning friends and look around the internet, you’ll see that tonneau covers are perfectly good to run through a car wash. Just make sure that your cover is securely fastened and that you won’t be letting any water into your bed before you head into the wash.
– How to install a tonneau cover? Most tonneau covers will come with an installation manual. Generally speaking, though, the process will look something like a few simple steps. First, you’ll align your cover with your truck bed. Then, you’ll clamp it down. And that’s it. Too easy! – How to remove a tonneau cover? Taking off a tonneau cover is just as easy as putting it on. You’ll need to extend it all the way out, take the clamps off of the lip of your truck bed, and lift it carefully away from your vehicle. Just as easily as you install your cover, you took it right off. The best tonneau cover for Ram 1500 is a pretty competitive space. There are a lot of great options which can make it difficult to figure out which one you are going to favor the most. We will say one thing for sure: All of them are good choices. It’s really the small details that make each tonneau cover a unique choice. For that reason, all of the research that was done and put onto this page is really important to figuring out which cover you are going to like best. Now, the choice is yours.